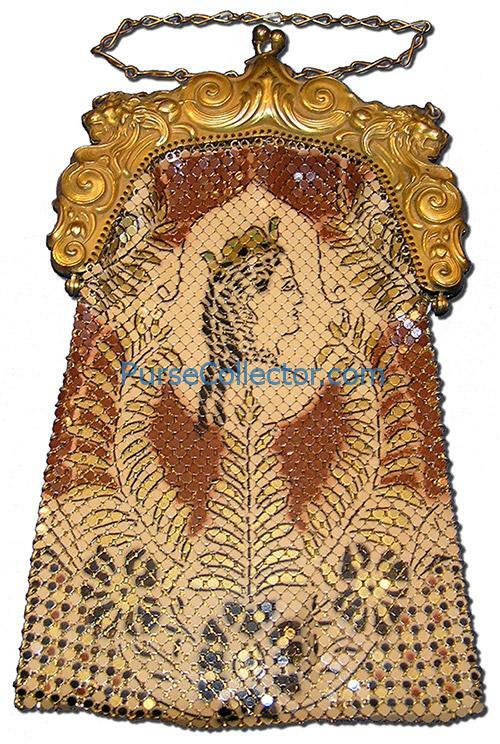 Image 1023 – Whiting & Davis Ivorytone mesh bag with an image of Empress Eugenie of France on the mesh and an unusual stamped brass frame decorated with lions. Inside are two (one on each half of the frame) bowtie-shaped metal tags. Both tags are stamped with the W&D logo and Reg US & CAN and are attached to the frame by the spiral wire. 4 ¼ x 7. Obviously a royal visage…but whose image is it that appears on this interesting Whiting & Davis mesh bag made in the 1930s? 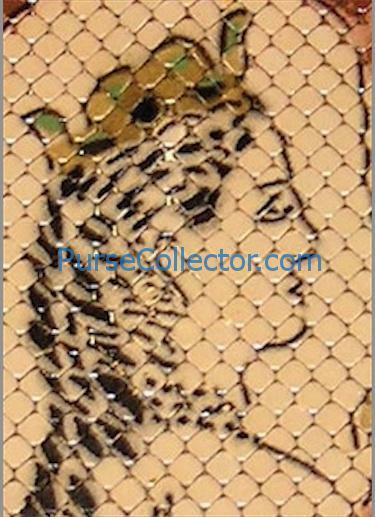 Collectors have long speculated that the image portrays Queen Victoria, or perhaps Princess Mary after whom W&D named a popular ring mesh bag with an envelope-style opening introduced in 1922. Could the purse have been created in 1932 to honor Princess Mary who received the title of Princess Royal on January 1st of that year? Some even speculated that the portrait depicts Marie Antoinette, the well-known French fashionista and party girl of the late eighteenth century. However, in the fashion world, the realm inhabited by W&D, Empress Eugenie of France reigned supreme. 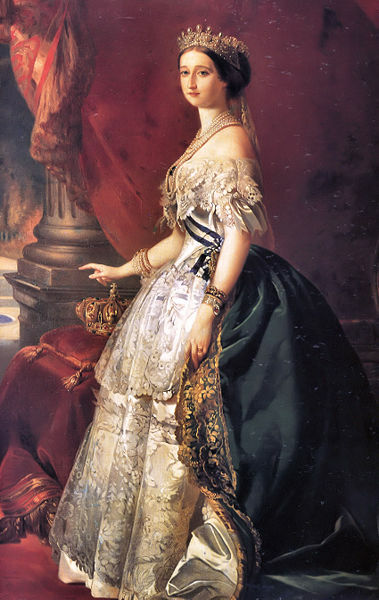 Empress Eugenie was considered one of the most beautiful women in Europe. Interestingly, this official portrait does not depict Eugenie with her natural red hair. At the time of Eugenie’s reign common people made their own clothes and the royals and other wealthy people had clothes hand-made for them. Individual dressmakers, always women, created clothing for the wealthy according to the whims of their clients. Eugenie dressed very simply when not attending to public duties, but she astutely recognized that her position as Empress would bring her under intense scrutiny. So for political reasons she strategically decided to embrace her role as an arbiter of fashion in the country already well known for its leadership in the field since the early 1700s. And by extension she brought respect to Napoleon’s court and his newly formed government of the “Second Empire”. The tiara made for Eugenie was part of a parure including bracelets, a stomacher, and a necklace of six pearl strands. Some of the jewelry is shown in this portrait by Franz Xavier Winterhalter. Into this tableau strode the brash young English designer Charles Frederick Worth. At a court ball held at the imperial Tulleries Palace in 1859 Eugenie was struck by the beauty of a Worth creation worn by a courtier, Princess Pauline von Metternich, wife of the Austrian Ambassador to France. The next day Worth was summoned to meet with Eugenie in her private dressing room that featured revolving mirrors and a lift hidden in the ceiling by which her dresses were delivered from the storage room above. In a short time Worth was supplying the Empress with all of her outfits from court dresses and street clothes to ball gowns and masquerade costumes. Public appearances often required that Eugenie change gowns several times a day, but she never wore the same dress twice, even when attending routine court receptions. Worth, in collusion with Eugenie, proceeded to turn the French fashion world on its ear with his beautiful designs and innovative ideas. The crinoline, a rather awkward, cage-like form worn under layers of petticoats and milady’s dress, was the accepted standard in all of Europe, including post-revolutionary France. Worth, with the support of the Empress, chipped away at the restrictive dress style, eventually supplanting it with a slimmer silhouette in front and a bustle in back. The result was a new paradigm of fashion and a dramatic shift away from the style that had been in favor in one form or another for decades, culminating in worldwide recognition for Charles Worth. Through aggressive self-promotion and clever marketing the House of Worth became recognized as the epicenter of fashion. In addition to supplying entire wardrobes for wealthy courtiers and aristocrats Worth produced costumes and personal garments for leading performers of the day such as Sarah Bernhardt, Lillie Langtry, and Jenny Lind. Worth capitalized on his celebrity and in the bargain developed a new means of distribution by agreeing to sell certain of his original designs to foreign buyers with the rights to copy and sell them wherever they chose. 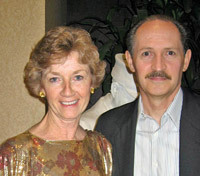 Worth also recognized the benefit of labeling his designs to enhance their acceptance in the marketplace. 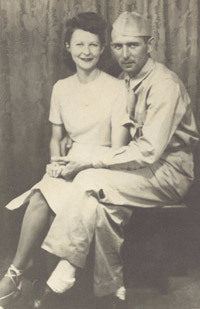 Some of Worth’s most successful designs were sold in the form of ready-to-wear copies in the newly founded department stores of Paris, London, and New York. Worth, by combining his flair for fashion design and entrepreneurship with the support and patronage of Empress Eugenie, had given rise to the modern concept of haute couture! Even after Worth’s death in 1895, The House of Worth flourished into the 1920s and beyond first under the guidance of his two sons and later under his grandson. 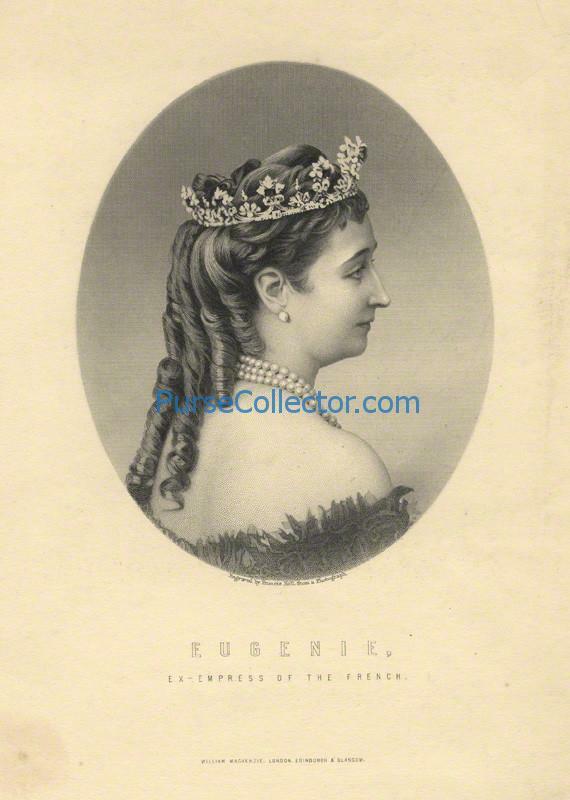 So it is no wonder that Whiting & Davis selected Empress Eugenie’s image to grace one of their mesh bags. The Empress was emblematic of the status W&D was striving to achieve in the world of fashion and a figure instantly recognizable by women the world over who sought to follow in her stylish footsteps. Even after Eugenie died in 1920 the House of Worth continued to be a well-known fashion icon that was still closely identified with the Empress’s reputation. The French crown jewels are on display at the Louvre in Paris. Foreground-left is Eugenie’s diamond and pearl tiara and foreground-right is the Marie-Therese tiara. No well dressed empress should be without impressive jewelry and Eugenie made certain that hers measured up to her fashion forward reputation. In Eugenie’s official portrait she is wearing a pearl and diamond tiara, but she is wearing a different diadem in her portrait shown on the Whiting & Davis mesh purse. The key to understanding how Eugenie’s taste in jewelry evolved begs the tale of three tiaras. Eugenie’s tiara by Lemonnier with 212 pearls and 1,998 diamonds having a total weight of 63.3 carats. It’s good to be Empress! The tiara commissioned by Napoleon III to celebrate his marriage to Eugenie was crafted by Gabriel Lemonnier in 1853. It embraces 212 pearls and 1,998 diamonds with a total weight of 63.3 carats. However, this tiara cannot be the one shown in W&D’s mesh portrait because it does not have any green stones. Eugenie’s favorite tiara from among the crown jewels, which was originally made for Marie Antoinette’s daughter, boasts over 1,000 diamonds and 40 emeralds. The tiara Eugenie favored, which was part of the French crown jewels, was originally made for Marie-Therese, the eldest daughter of Louis XVI and Marie Antoinette. This magnificent tiara was designed by cousins Evrard and Frederic Bapst in 1819 and is encrusted with over 1,000 diamonds set in silver and 40 emeralds (79.12 metric carats) set in gold. The Marie-Therese tiara was the property of the French State since it had been made from stones and metals supplied by the state treasury. 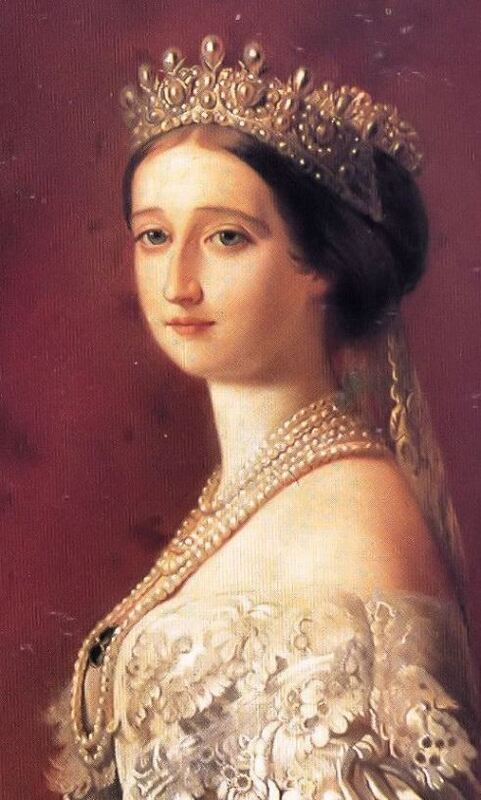 When Marie-Therese was forced into exile by her husband’s abdication in 1830 she returned the tiara to the treasury. Empress Eugenie donned Marie-Therese’s tiara for occasions of State and other important official functions. So, what was it about the Marie-Therese that made it Eugenie’s favorite? Since fashion had become her forte Eugenie understood that those beautiful green emeralds perfectly complimented her alabaster skin and red hair! However, the celebrated Marie-Therese is not the tiara depicted on Eugenie in W&D’s mesh portrait because it is clearly not of the same shape and design. This illustration shows the two different forms of the Fontenay diadem. The top view shows the diadem decorated with emeralds and diamonds while the bottom view shows it transformed by large pendant pearls. 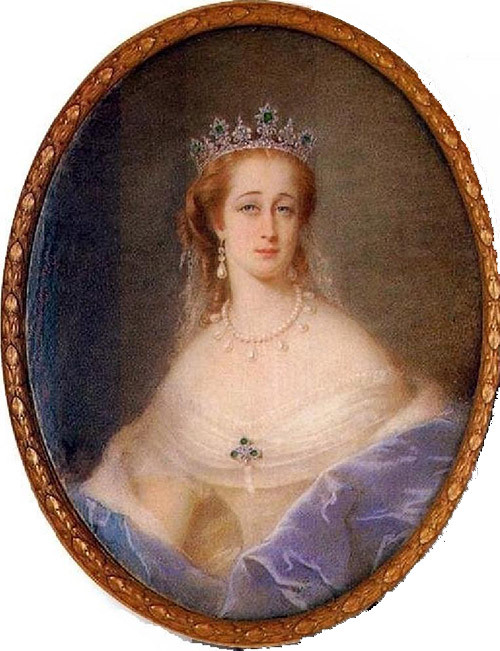 A miniature painting produced by Pierre-Paul de Pommayrac in 1861 shows Empress Eugenie wearing the Fontenay diadem. She was very aware of the striking image created by the emeralds in combination with her red hair and fair skin. So indeed there must be yet another diadem that the Empress wore. But why would Eugenie commission another tiara when she had access to the Marie-Therese? One can speculate that the Marie-Therese must have been extremely heavy and uncomfortable to wear. And, although it enhanced Eugenie’s natural beauty, it did not flatter every ensemble. 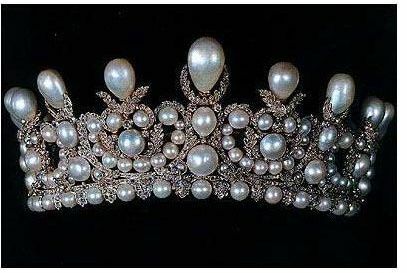 So in 1858 Eugene Fontenay was commissioned to create a tiara with changeable jewels. The result was a lightweight masterpiece with nine fluerons, or peaks, that could be embellished with sapphires or emeralds. At Eugenie’s whim the gems could be replaced with seventeen large pendant pearls. 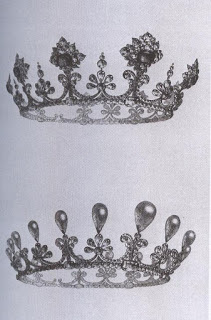 Or, seventeen diamond pendants could be detached from the “imperial riviere” (necklace) and mounted on the tiara. The tale of three tiaras concludes with the realization that the Fontenay diadem appears in Eugenie’s portrait on the Whiting & Davis mesh bag. Meanwhile, the tale also provides a logical explanation regarding why the tiara would be portrayed with green stones, as well as an interesting insight into the mind of Eugenie. This likeness of Eugenie could have been the inspiration for her portrait on the purse made by Whiting & Davis in the 1930s.